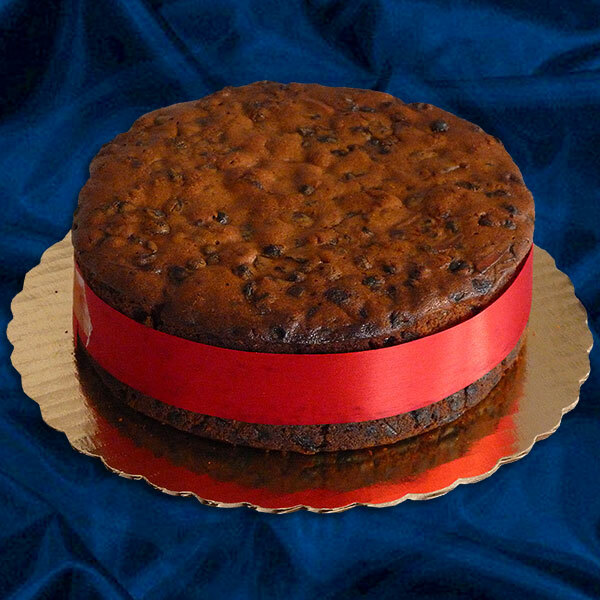 English Christmas Cake (plain fruit cake, not iced). If you are sending your order as a GIFT use the Shipping Form Additional Information text box for your GIFT CARD MESSAGE and any other special instructions. Thank You. 2018 Deliveries will start in the second week of November 2018. Ingredients: Raisins, currants, mixed peel, brown sugar, eggs, butter, flour, almonds, spices (cinnamon, cloves, cardamom, ginger, nutmeg & allspice) molasses, orange & lemon zest,and rum. Over 9.5 LB, we will phone you with shipping rates to your destination.